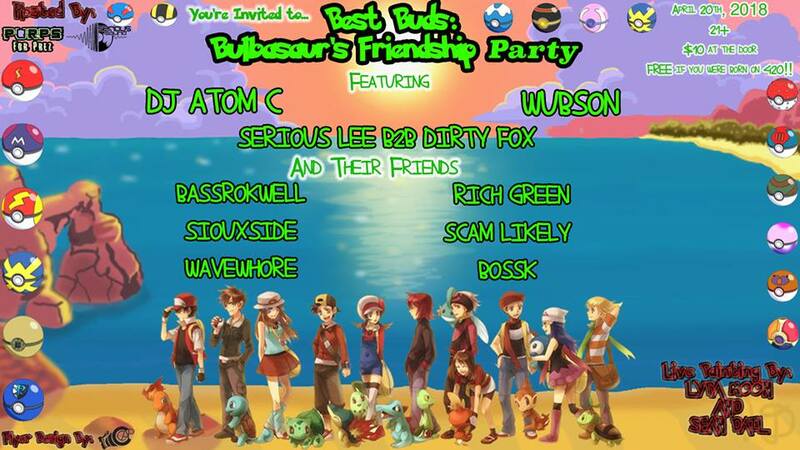 ..:: BEST BUDS: A Pokemon Themed Event ::..
FREE if you were born on 4/20!! This is a Pokemon themed 420 friendship party!!! So come dressed as your favorite Pokemon. Best dressed gets free admission to our next event!!! Dressing up is NOT required. Just come and vibe! !